Leamington Music was launched in July 2006, and aims to maintain Leamington and district as a musical centre dedicated to promoting excellent music. Our flagship event, the Leamington Music Festival starts on Friday 3 May with a violin and piano recital by Tasmin Little and the Russian pianist Andrey Gugnin. This evening concert is attracting enormous interest, since Tasmin recently announced that she would be retiring from giving concerts in the summer of 2020. Her programme reflects the various musical strands of the 2019 Festival, which include Delius, Schubert and a range of Russian composers. 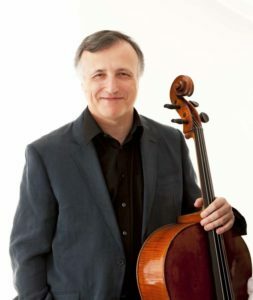 The 2019 Festival celebrates the thirtieth such event held over the first of the May Bank Holiday weekends since the Warwick Schubert Weekend took place in 1990. The weekends of chamber music have, with one or two exceptions, always had strong themes, built round composers or particular nationalities. Since 2000 the event has been based in the Royal Pump Rooms in Leamington. The Delius strand, besides Tasmin Little playing the second violin sonata, also has the Fitzwilliam Quartet playing Late Swallows and Raphael Wallfisch the Cello Sonata, before the showing of the classic documentary by Nick Gray, Song of Farewell. Tasmin plays Prokofiev’s second violin sonata and Russian composers are included in concerts by the Leonore Piano Trio, Raphael Wallfisch, Andrey Gugnin in an all-Russian programme climaxing with Mussorgsky’s Pictures at an Exhibition, the Martinů String Quartet with cellist Gemma Rosefield, the Aronowitz Ensemble and the Takács String Quartet. Schubert features in concerts by the Leonore Piano Trio, Fitzwilliam String Quartet, Raphael Wallfisch, the Martinů Quartet with Gemma Rosefield and Roderick Williams’s commissioned work for the Fitzwilliam Quartet, Fremd bin ich, is premiered on 4 May. 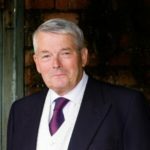 The following evening he sings with Ensemble 360, Leamington-based composer Howard Skempton’s settings of Man and Bat and The Rime of the Ancient Mariner. The Festival in this special year ends with two evenings with the world famous American-based Takács String Quartet led by Leamington-born Edward Dusinberre. The programmes include quartets by Haydn, Beethoven, Bartók and Shostakovich. 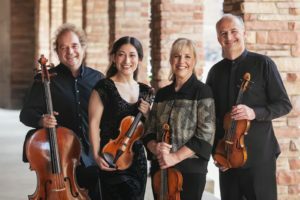 Leamington Music’s fourteenth winter season will start on Friday 4 October when the Esme Quartet from Korea, winners of the 2018 London International String Quartet Competition, performs at the Royal Pump Rooms on its first UK tour. The Investec International String Quartet Series on Friday evenings continues with the London Haydn Quartet with Eric Hoeprich clarinet (1 November), the Talich Quartet from Czech Republic (29 November), Van Kuijk Quartet from France and winners of the London Competition in 2015 (24 January), the Consone Quartet (28 February) and Pražák Quartet from Czech Republic (20 March). The Early Music at St Mary’s Church Warwick Series opens with the Gesualdo Six (8 October), continuing with Musica Secreta (12 November), Stile Antico (10 December), The Gonzaga Band (28 January), Dowland Works, celebrating Dame Emma Kirkby’s 70th birthday (18 February) and the Orlando Consort (24 March). Other concerts in the season will be given by the 2019 Leamington Music Prize winners, the Palisander Recorder Quartet, The Mellstock Band, The Carice Singers, Lauren Zhang (winner 2018 BBC Young Musician of the Year), and Ensemble 360. Booking for the winter season will open in July. Join the emailing list using the box on the right to receive full details or let us have an address to which we can post a leaflet. Music-making at an international level like this can only be put on and sustained by the generosity of our supporters and if you would like to be involved in ensuring that Leamington Music continues to flourish please join the Friends of Leamington Music or contact us directly.